In the many seminars and speeches I give each year to traders of all levels of experience, there are certain questions which are asked time and again. I have answered the more frequent ones right here, and will continue to add to this list as other important questions arise. 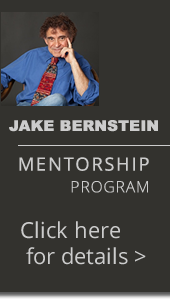 If you have a question, click here to Ask Jake. Q: How much money do I need in order to begin trading? A: The simple and honest answer is "the more the better". Anyone who told you that you can make it big with $1000 is not telling you the complete truth. Ideally, a $25,000 risk capital account is sufficient. $10,000 is minimal. Anything less then $10,000 puts you in the lowest odds-of-success category. Those are the facts, as I see them -- like it or not. Q: What recommendations do you have for a new trader? A: Far too many to list right here ... Begin by reading my books, How the Futures Market Works, Facts on Futures, 30 Days to Market Mastery or my latest book The Ultimate Day Trader. 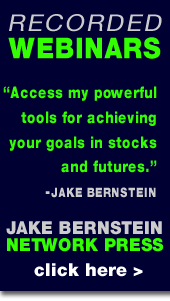 And look around Jake Bernstein on Futures for other information. The Tools for Traders most helpful for beginners are marked accordingly. Also, be wary of fast-talking brokers and trading advisors who tell you can make it big with a small amount of money. Q: Are futures options the way to make it big in trading? A: NO! NO! NO! - not if you're simply a buyer of calls or puts. Most of the people who lose in options are buyers of puts or calls. Most puts and calls expire worthless. It's the sellers who make the money. The best way to trade options is with a very focused strategy such as the one I use in my recommendations and/or as an options writer and/or as an options spreader. Q: Do I need to use my computer in order to trade successfully? A: NO! Absolutely not. Of course, if you are reading this, you are probably using a computer for some of your business or personal activities but it can be a detriment to many traders! All too often traders will get information overload by using the computer. You can do almost everything you need to do as a beginner by using charts and your mind. That being said, a computer can save you lots of time. Q: What are the qualities of a successful trader? A:They are, not necessarily in order of importance: being sufficiently capitalized, persistence, self discipline. emotional control, objectivity in trading, and the ability to take losses in a timely and prompt fashion. Q: How do I find a good, honest, reputable broker who won't charge me an arm and a leg? A: The best way is by referral, ask me and I'll tell you who to call! Q: Is it better to be a technical trader or a fundamental trader? A: I prefer the technical approach. Fundamentals are too hard to know in advance and often they're distortions, lies or exaggerations. The tape tells no lies. All traders are equal in the eyes of technical analysis. Professionals have the edge on you when it comes to fundamentals but in technical analysis you are equal to them if you have developed the skills. Q: Do I need live data? A: NO. Don't spend your money on live data unless you plan to day trade or to short term trade very actively. End of day data is more than enough and even that may be unnecessary. Q: Do I risk delivery of 42,000 pounds of live beef? A: That's a market myth. Your broker will tell you when you have held a contract to the time of first notice or intended delivery. At that time you will get out. You won't have to worry about the cattle on your lawn. Q: How do I trade commodity spreads? Are they less risky? A: Some spreads are more risky than flat positions and other spreads are less risky. Trading is a risk no matter what. The greatest risk is your own emotion and lack of knowledge. My courses and advisory services can teach you how to trade spreads effectively and how to avoid the emotion and "stupidity" which often plague traders. 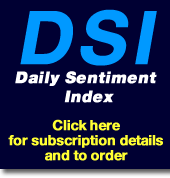 Q: Should a new trader speculate in S&P Futures? A: NO NO NO!!! RARELY IF EVER! But if you are an experienced trader with sufficient capital then you can trade S&P. Q: Are the European markets good trading vehicles? A: YES, but please master the U.S. markets first! Q: I've seen ads that tout 100's of percent return, minimal risk, small stop losses & fantastic track records. Should I believe them? A: NO. Investigate before you invest. Many of these ads are tricky, false and misleading.